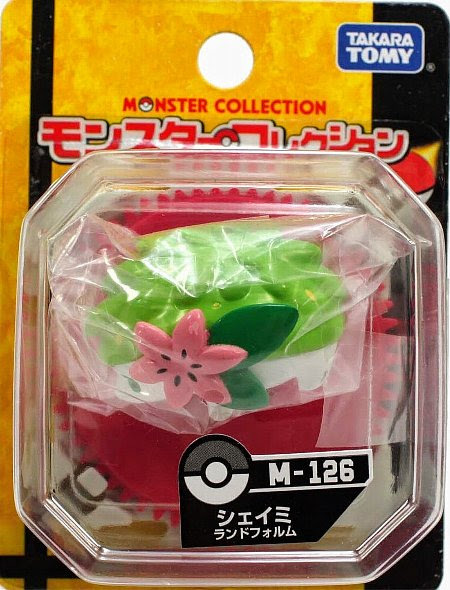 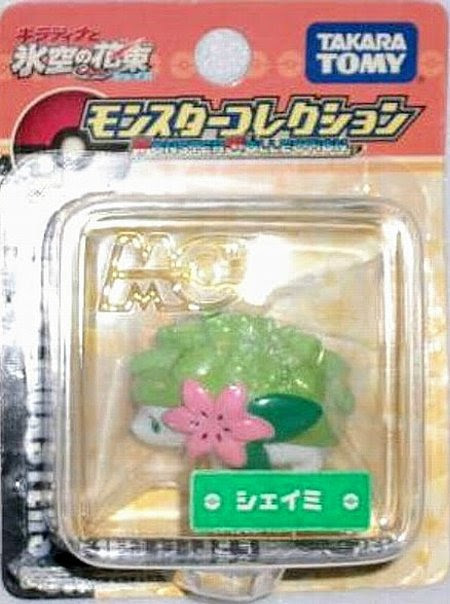 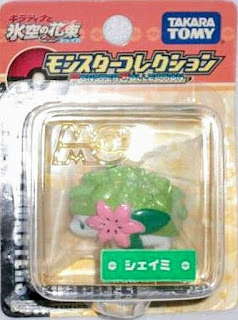 Pokemon figure Takara Tomy Monster Collection MC series Shaymin land form シェイミ ランドフォルム. 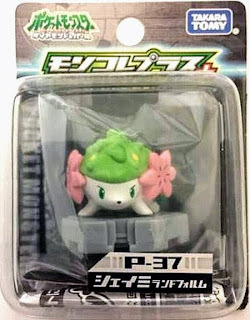 Same pose in 2008 Seven Eleven figure asort sale. 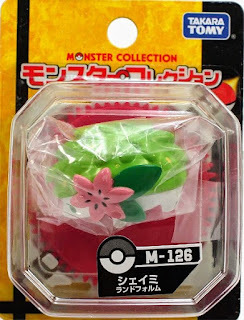 Same pose in 2008 Giratina Shaymin movie diorama set. 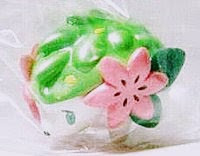 Clear version in 2008 movie promotion. 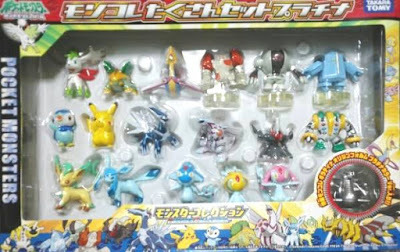 Clear with sparks version in 2008 Seven Eleven Pokemon linch box attachment. Pearly version in Pokemon toys DP Panorama Bag play set. 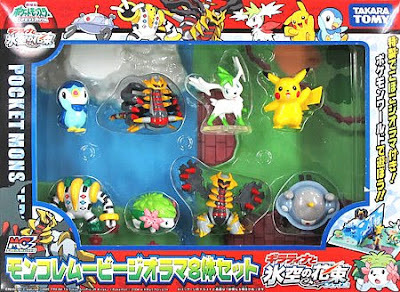 Metallic version in 2010 Takara Tomy summer promotion. 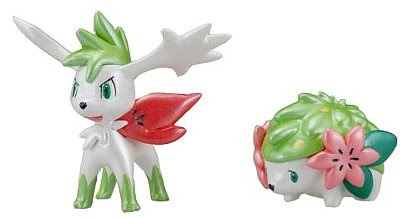 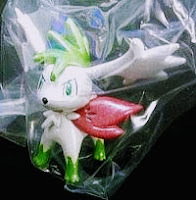 Pokemon figure Takara Tomy Monster Collection MC series Shaymin sly form シェイミ スカイフォルム. Sky form Battle Scene in 2008 Giratina Shaymin movie diorama set. 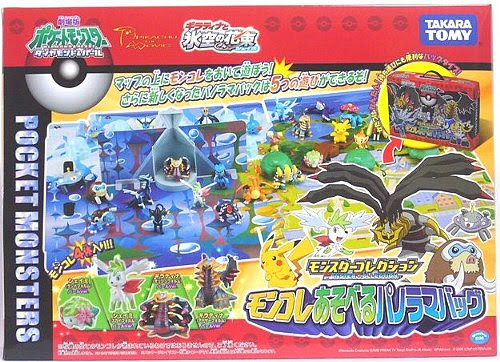 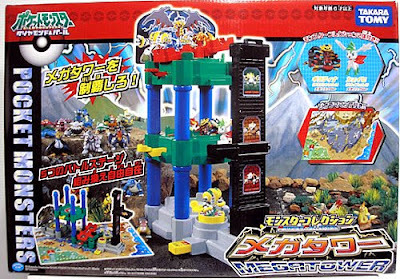 Metallic version in Pokemon toys DP Mega Tower play set, more dark color than peraly version. Same pose as MC in Platinum 18pcs figures set. 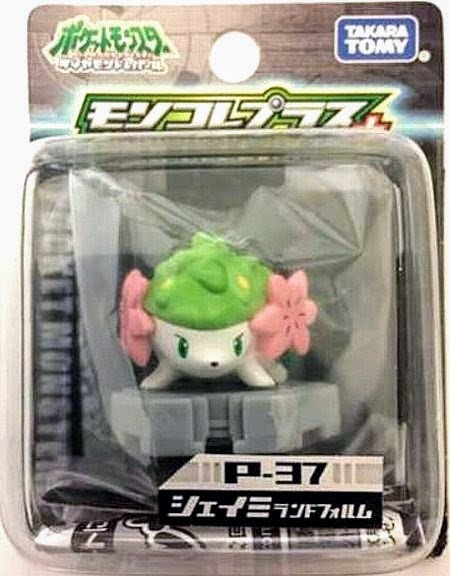 Shaymin in YJ Auction ?